India is one of the affluent countries when it comes to values, culture and traditions. From all corners, be it down South or up North, every region and state has something spectacular to offer – ranging from heritage to different rituals, cuisines, clothes and so much more. It’s this diversity of India that makes every place geographically, historically and culturally build its rich heritage. 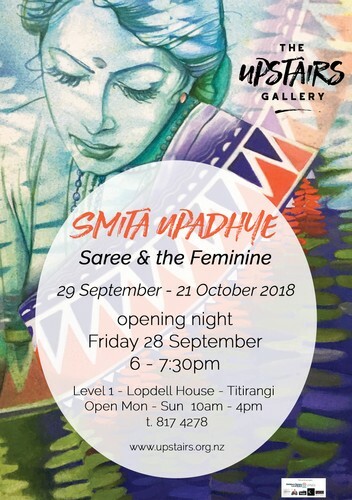 In this one-off exhibition, Smita Upadhye portrays one such aspect that binds all Indian women through threads of elegance; their love for sarees. To define, these are five to nine yards of light material in the form of bliss adorned by every woman in India. It’s not just a cloth to be draped around your waist but has a lot more to offer - a deeper emotional connection with every feminine. Join us for the opening ceremony on Friday 28 September from 6 to 7:30pm. This beautiful body of works will be on display everyday from 10am to 4pm, and closes on Sunday 21 October.